High Dive | CowParade New Figurines | One Price Low Flat Shipping! 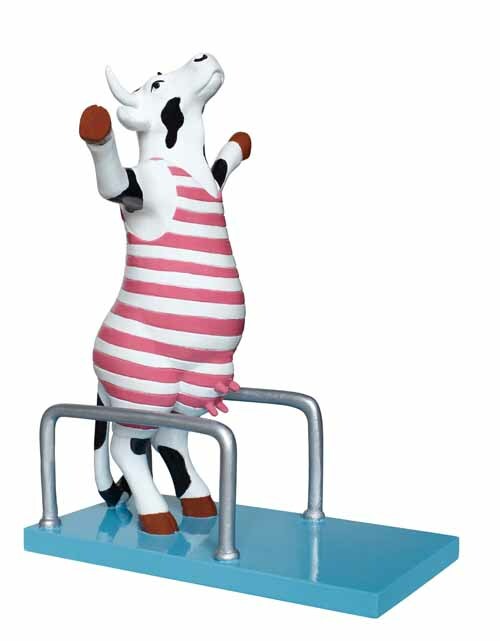 From the Cow Parade Medium Figurine Collection, High Dive. Designed by artist Von Sydow and Klaus Gjorup. Featured at the CowParade Copenhagen 2007 exhibit. Made of resin. Measures 4.5" x 6". 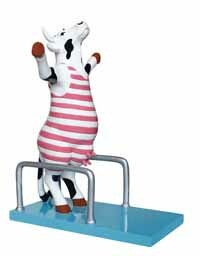 This funny cow figurine is standing on a diving board as it prepares to dive and is wearing a pink and white striped bathing suit.